Florida is, definitely, one of the most-known places in the world for all kinds of touristic attractions. This state is amazingly located, possesses breathtaking views and perfect weather conditions all year long. What is more, there is much to see here when it comes to buildings and monuments. No wonder that Florida is so popular amongst sailors and people who love renting a yacht and floating around. One of the most popular cities to realise this activity is Fort Lauderdale. The city is placed in the East Florida, close to the most-known Miami. However, it possesses its very own infrastructure, style and is evenly hospitable for tourists as its more known neighbour. This refers also to sailing. Fort Lauderdale is a place when well-paid can charter a luxury yacht. This activity is a perfect way of spending free time, due to plenty of reasons. First of them is brilliantness of nearby waters. They are so clean, warm and mild that there is nothing more pleasant than to utilise this. Utilise by sailing, swimming, diving, etc. What is especially positive, all of it can be done from the board of the yacht. Cleanness of surrounding waters makes really possible to meet plenty of sea creatures, including colourful fish and absolutely harmless sharks, which are more curious than dangerous. Certainly, if someone is afraid of them anyway, can easily admire them from aboard of the yacht, not coming into the water. Apart from that, there can be a coral reef observed there, which is an attraction not seen in Europe. In such conditions most of sailors can spend many hours or even days. However, there are even more entertaining items in the region nearby Fort Lauderdale. Great attraction is provided by closeness of Caribbean Islands that can be unobtrusively reached within couple of hours, dependably of the sort of the yacht. More luxury units and, as said, they are most often chartered here, guarantee greater speed which means reaching Caribbean truly fast. Fantastic trip from Fort Lauderdale to Caribbean (the Bahamas, to be more exact) and back can be realised within one day. It would be a day full of soaking up the Sun, observing views and listening to the gentle sough of the sea. Nevertheless if someone is in the USA or in Florida for the first time should definitely visit Miami too. It is doubtlessly one of the most beautiful cities in the country, with globally famous Miami Beach, as well as the island that a number of well-known persons have their villas. While going from Fort Lauderdale to Miami do not forget to visit Hollywood, small but magnificent town located along the way. Sailing around is a great pleasure. The same pleasure can be experienced if one decides to go to the north. All cities and smaller towns met along the way should enchant even more demanding tourists. Just call towns such as Pompano Beach or West Palm Beach. Both centres of in-the-sea activity should meet the highest expectations of each sailor. 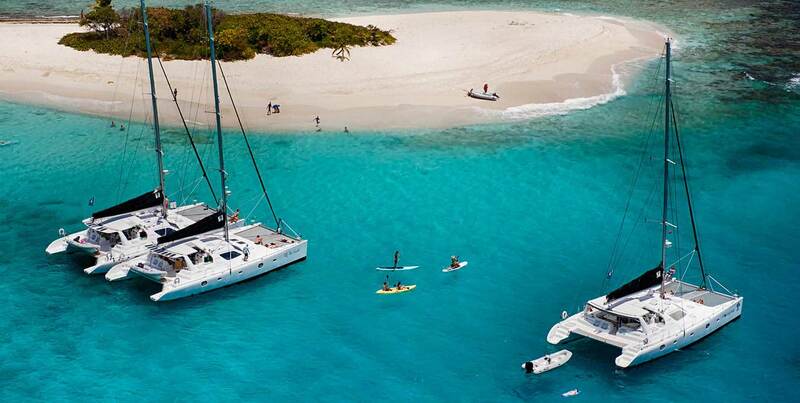 Yacht charter here is really the best way to spend vacation!